Sebastião Salgado’s early influences included Lewis Hine, W Eugene Smith and Walker Evans. Much like his heros, Salgado developed a style in black and white that found beauty in brutal subjects of poverty, hardship and oppression of various cultures under the wake of industrialization to the native landscape (via). With a photojournalistic, monochromatic style that combines complexity with a high sense of drama, his work is dedicated to awareness of conditions of both wildlife and humans (via). Salgado’s work raised global awareness to varying human conditions which revealed "the often harsh conditions of large scale industrial sites including oil fields and commercial fisheries" (via). In 2004, after decades of seeing and capturing the worst humanity has to offer, "his work shifted to landscape and wildlife as he began his work on Genesis, a collection of images from some of the most remote parts of the world." 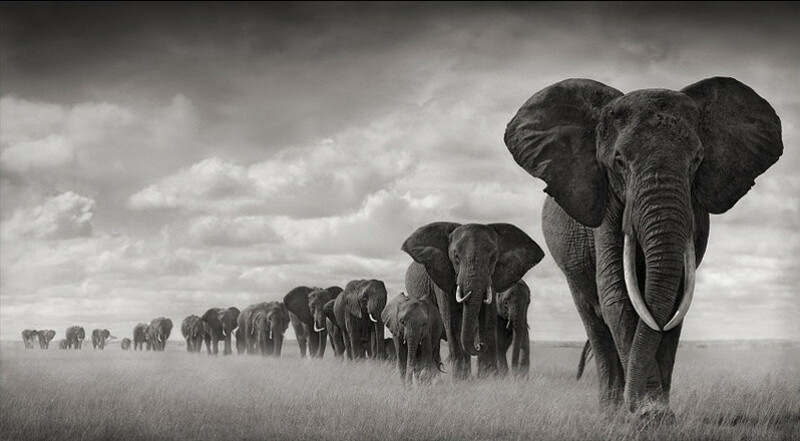 "Salgado aimed to capture landscape that is completely untouched by humans" (via). For forty years, Salgado documented deprived societies in hidden corners of the world, and the images, the people, and the experiences slowly yet methodically took its toll - his soul became sick, "I no longer believed in anything," Salgado found, "in any salvation for the human species." It was then that he returned to his Brazilian home to began a new project: restoring the rainforest and mending his soul. For a deeper, more intimate glimpse into Sebastiao Salgado's heart and mind and camera, check out The Salt of the Earth, a film directed by Salgado's son that explores the life and loves and work of the brilliant Sebastião Salgado. Here's a trailer of the film. Little did I know that I was going to discover much more than just a photographer.